Third-year results from the five-year Centers for Medicare and Medicaid Services (CMS) Independence at Home (IAH) Demonstration Project were recently released. Housecall Providers was once again one of the highest-performing sites with a savings of 23.7 percent in patient health costs compared to a local control group that did not receive home-based primary care. This constitutes a savings of $535 per patient every month. Seven out of 15 participating practices saved approximately 4.7 percent, equating to $16.3 million – an average of $1,431 per applicable beneficiary. IAH continues to be the most successful Medicare demonstration ever implemented. In this third year, 11,382 beneficiaries were enrolled in the demonstration, up from 10,000 the previous year. Additionally, 14 of the 15 practices improved on at least one quality measure from performance Year Two. Housecall Providers was one of the five practices that met the performance thresholds for all six quality measures, and in doing so received an incentive payment totaling $570,777. IAH tests a service delivery and payment incentive model designed to improve health outcomes for people with chronic conditions through the utilization of home-based primary care teams. In the study’s first two years, Housecall Providers showed a 32 percent savings and the following year reported a 24 percent savings over the control group. 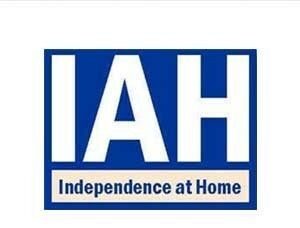 “Members of the IAH consortium are further encouraged that these promising results will continue to move the national conversation toward the necessity of instituting a permanent, value-based payment model, so all who need home-based care will one day be able to receive it,” says Ramsay.